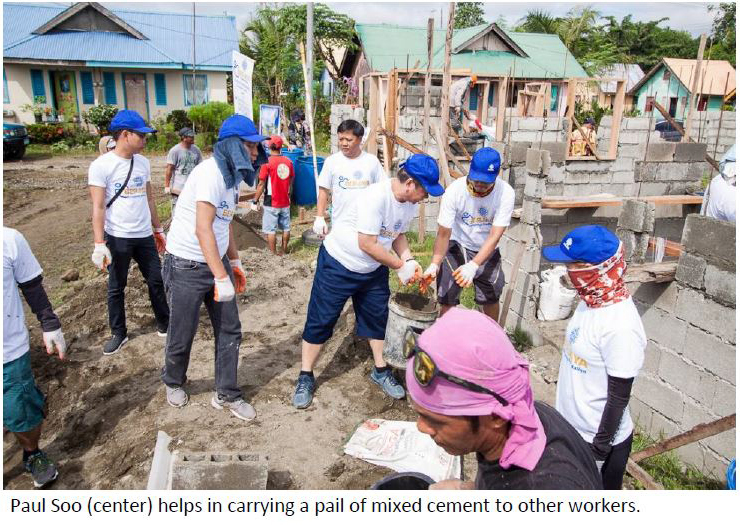 STRENGTH IN UNITY: BERJAYA Group Philippines Build Homes in Davao del Norte – Berjaya Philippines Inc.
Berjaya Philippines subsidiary companies Philippine Gaming Management Corporation, Papa John’s Pizza, Berjaya Makati Hotel, affiliate company Bermaz Auto Philippines and guest company Abacus Securities Corporation unite and rose to the challenge of volunteerism in the GK Bayani Challenge on November 18 to 25 as their employees, headed by Berjaya Philippines Country Head Mr. Paul Soo, Berjaya Philippines Director and Philippine Gaming Management Corporation Vice President Mr. Tan Eng Hwa, and Bermaz Auto Philippines CEO Mr. Steven Tan, participated in the bayanihan act of building houses in Barangay Datu Abdul Dadia, Panabo City in Davao Del Norte. 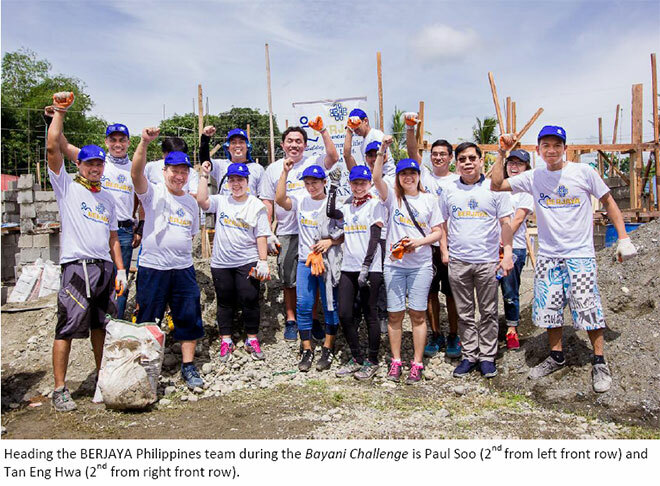 The officials and staff of Berjaya Group Philippines joined the Gawad Kalinga Bayani Challenge 2016 as they helped mix cement, carried hollow blocks amidst the scorching heat of the sun to build thirty (30) houses in said province. 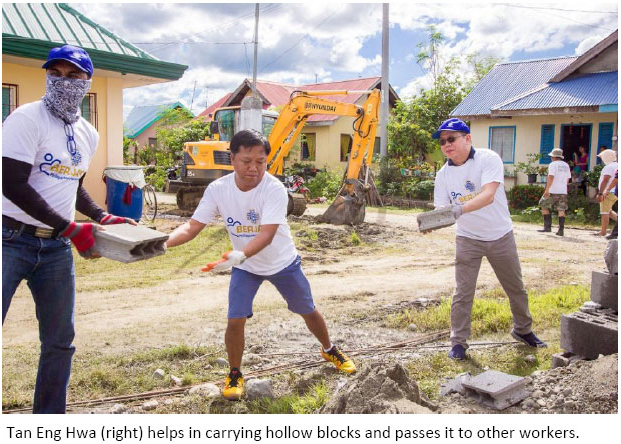 Berjaya Philippines has recently released additional funds of PHP 45M to Gawad Kalinga, earmarked to build 300 more houses in various provinces of the Philippines namely, Davao del Norte, Camarines Norte, Southern Leyte, Maguindanao, Nueva Vizcaya, Quezon, Samar, Surigao del Sur, Zamboanga City, and Leyte. 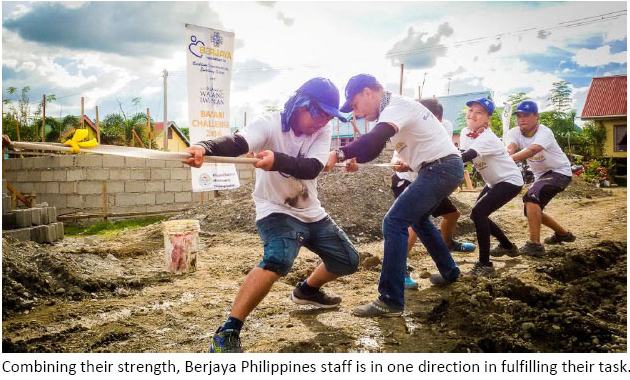 The partnership of Berjaya and GK has so far built 820 homes in 14 provinces, responded to relief efforts after a super typhoon in Tacloban and earthquake in Bohol, and building of a kitchen in Bulacan with a total donation to date of PHP 167.2M (USD 3.50M). Indeed, unity is strength when affiliate companies join forces to forge teamwork and commitment to bring help to the less fortunate members of the society.